When your family or you are diagnosed with liver cancer, besides actively cooperating with cancer treatment, to know how to properly care patient at home will contribute to the treatment. Liver cancer is a consumptive disease, needs supplement of nutrition, especially the protein. In early and middle stage of liver cancer, patients should take protein diet as much as possible while advanced patients should be closely restrained the intake of food containing nitrogen, especially protein. In addition, in advanced stage, bile secretion is reduced, cannot help digest high fat diet, so high-carbohydrate and low-fat diet should be taken to maintain the body's energy metabolism and supplement sufficient vitamin C, vitamin B complex and vitamin K. Patients complicated with cirrhosis and ascites should be restricted sodium intake. Patients accompanied by portal vein hypertension should choose soft, bland liquid or semi-liquid diet as far as possible. 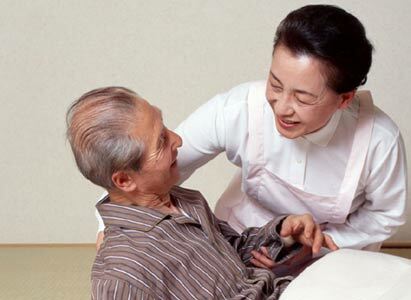 Family should help clear patients’ negative and fearful feelings, give spiritual comfort, so patients can correctly look upon disease, establish confidence of fighting against the disease, and maintain invigoration to recuperate at ease. Advanced patients with hepatic decompensation should rest in bed, and nursing action should be gentle, be completed at one time as far as possible, avoid turning over or moving patients unless it is necessary. Closely observe patients’ temperature, breath, pulse and blood pressure changes, pay attention to vomit and color, nature and quantity of stool, as well as bleeding tendency. If found patients with sleepiness, apathy, irritability, hallucinations, hepatic coma should be highly suspected, and report to the doctor immediately. Aflatoxin is an extremely harmful substance for liver, can cause acute, subacute and chronic hepatitis. If patient are also diagnosed with hepatitis virus infection, it will increase the risk of liver cancer. Besides, toxic substances for liver that people should avoid contacting include nitrite, carbon tetrachloride, styrene, alcohol etc, etc.